Film-Arcade.net: New Trailer for the Upcoming Animated Film "The Boss Baby"
New Trailer for the Upcoming Animated Film "The Boss Baby"
Dreamworks Animation and 20th Century Fox recently released the official trailer for the upcoming 3D animated film "The Boss Baby". The film features the voices of Alec Baldwin, Steve Buscemi, Jimmy Kimmel, Lisa Kudrow and Miles Bakshi. 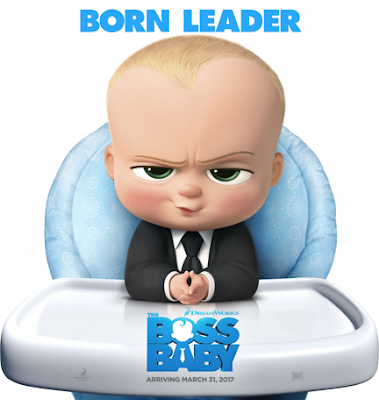 For more information on this film, you can visit the film's official Facebook page at: https://www.facebook.com/thebossbaby .